In January of this year, Glenn Lethbridge, Executive Director of Ontario Sailing, notified me that Graham Dougall was going to be awarded the Presidents Trophy at their Annual General Meeting. It was to be a surprise. I notified the QCYC Board and the Past Commodores and a number of us were at the meeting to see the look of genuine shock on Graham’s face when it was announced that he had been selected for the Presidents Trophy. 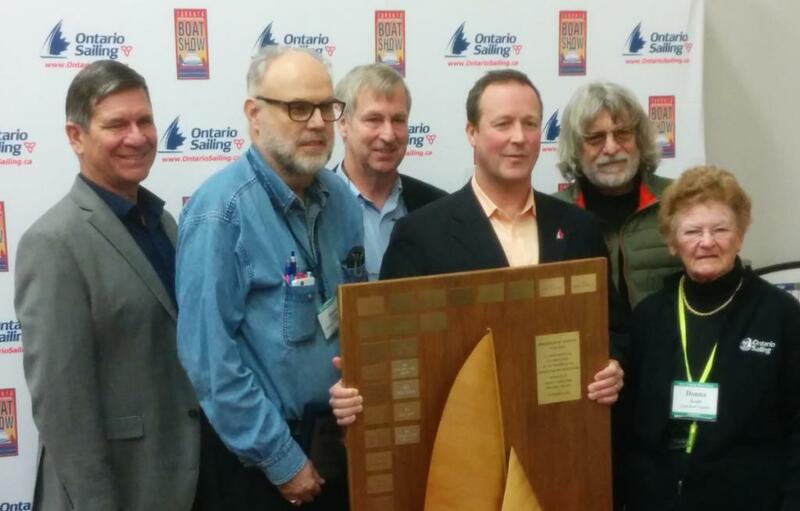 Ontario Sailing’s Presidents Trophy is awarded in recognition of a member of the Ontario Sailing Association who has made an outstanding contribution to the development of sailing in Ontario. Past Presidents of Ontario Sailing decide on the winner. Graham was recognized for "his unwavering commitment to Sailing at a Club, Provincial and National level." We all know that Graham has been responsible for racing at our Club and has served on the Board as our Rear Commodore for as long as many of us can remember. He also works on many other events, including the Lake Ontario 300. He works as a Race Officer Trainer and invests significant time to further his own professional development by participating in clinics and workshops. As the official announcement stated, "He is the most even keeled person many of us know. Graham stays out of the politics of sailing, instead, he does the volunteer work for the athletes." I hope you will all join in congratulating Graham on being given this prestigious award and thanking him for all he does for our Club and for making us all proud.